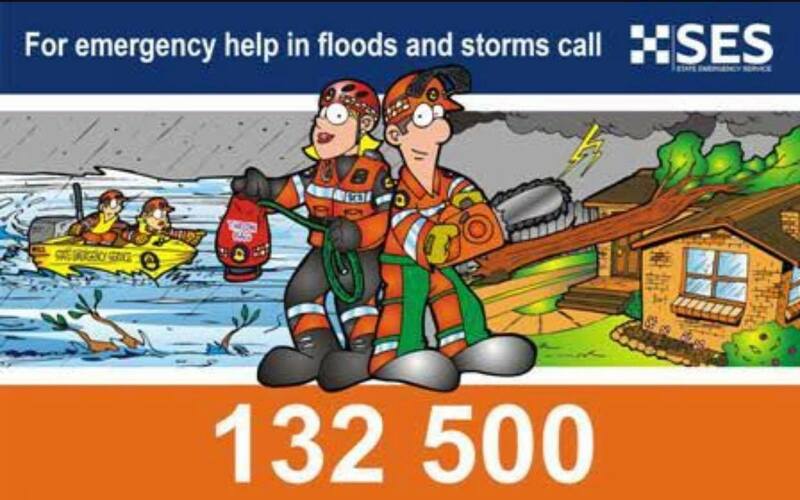 Cockburn SES member Steve participates in Movember! 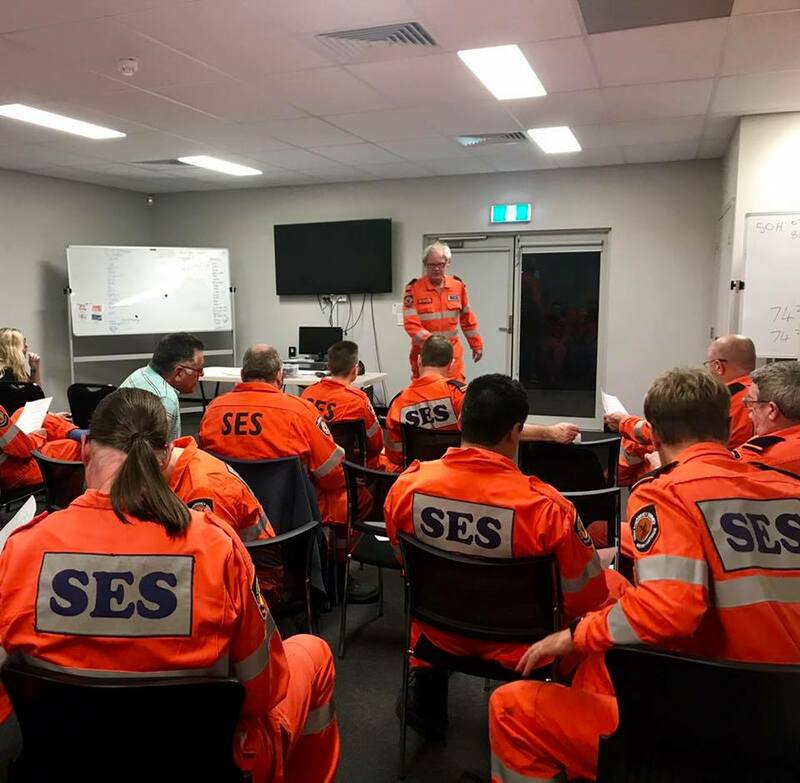 Dual Cockburn SES and SES Communications Unit member Steve is raising money and awareness on mental health in Movember! Well done Steve! Great work and well done to all participating in Movember. 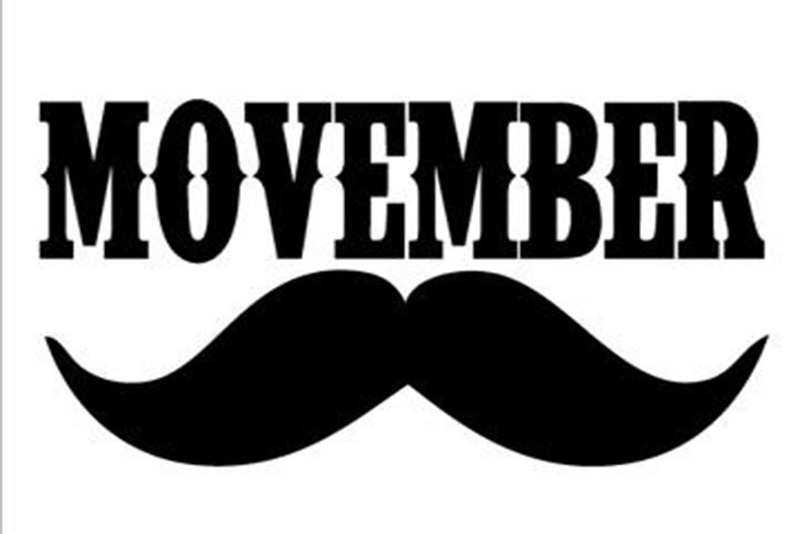 Watch the video below to see what Steve has been up to and find out more about Movember! DFES Video, Cockburn SES member Steve helps in the Movember cause! 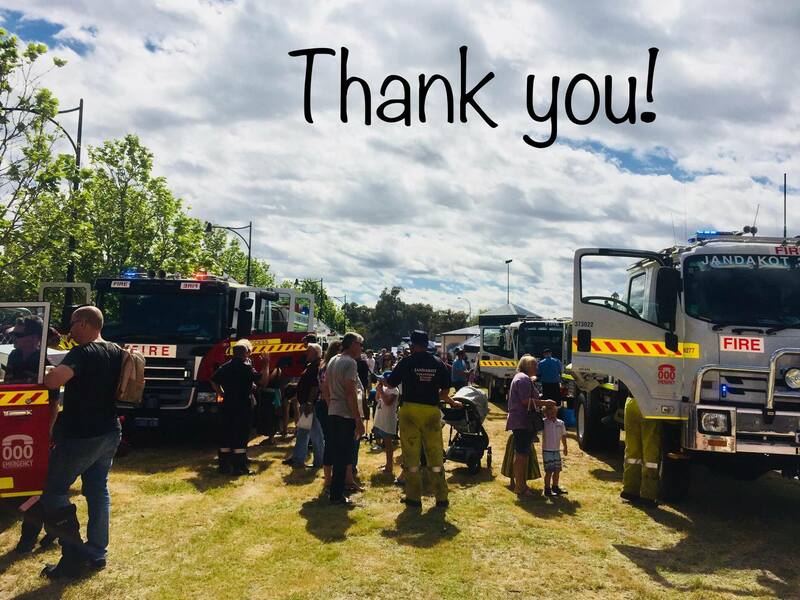 Today we went to the Firies Breakfast to talk emergency preparedness along with our neighbours the South Coogee Bush Fire Brigade and the Jandakot Volunteer Bush Fire Brigade!! 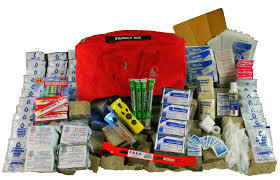 Thanks to everyone for coming, it’s great see people get a head start on planning and preparedness not just bushfire season but for any Emergency! 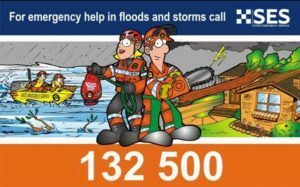 Bushfire season is just around the corner, get to know your neighbours and help build a resilient community! 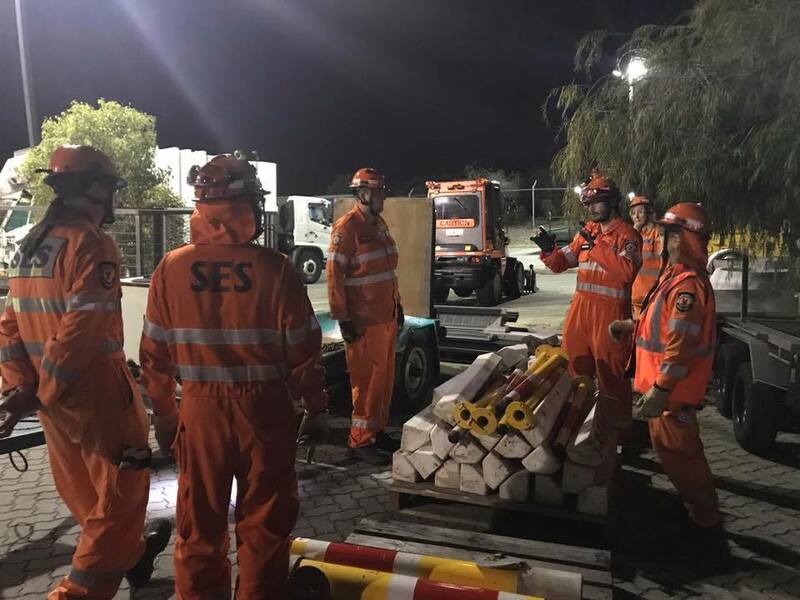 This week we teamed up with our neighbours from the Melville State Emergency Service, for an Urban Search and Rescue exercise. Navigating rubble piles and rescuing ‘casualties’ kept us busy! Thanks Melville for a great night of training! 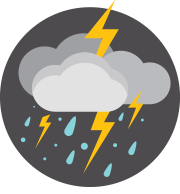 Storm ⛈ tip: put the SES 132 500 number in your phone in case the internet isn’t available or you’ve unplugged yours due to potential surges. Make sure your phone is fully charged up too! 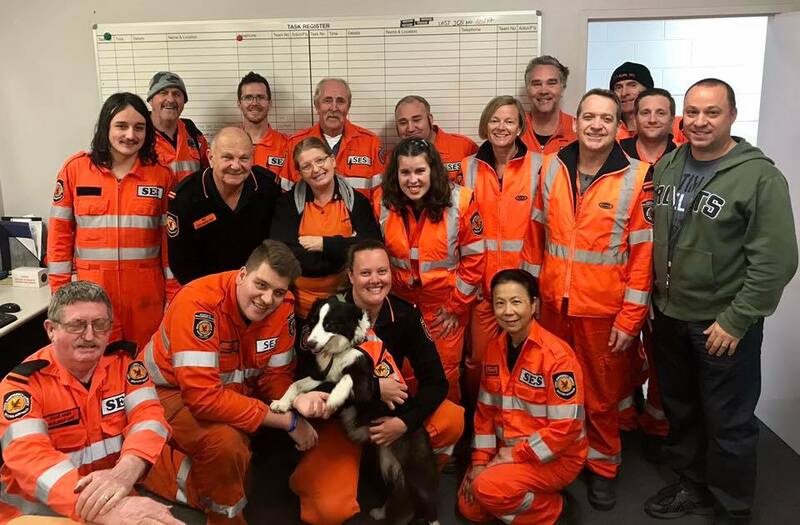 Tonight Teagan, Fabio and Piper the Border collie from the SES K-9 unit came to visit and talk about their search training. Thanks so much to Teagan and Fabio for their time and to Piper who stole the show with her skill, we had an absolute ball. This week’s training was GPS. Though we still use and rely on compasses and maps, GPS can be really helpful in searches and rescue, especially for tracking a team’s path. Thanks to Steve for the training!